Why do people come back to Riverside RV year after year? According to Sue Spalding, Riverside’s manager, the breathtaking scenery, beautiful landscape, top-notch amenities and fun activities help, but it’s really the strong sense of community that keeps people coming back. “The campers have really developed a winter community here. There is a camaraderie and helpfulness amongst our guests that you just won’t find elsewhere,” she says. If you’re looking for peace and quiet, you’ll find it here. 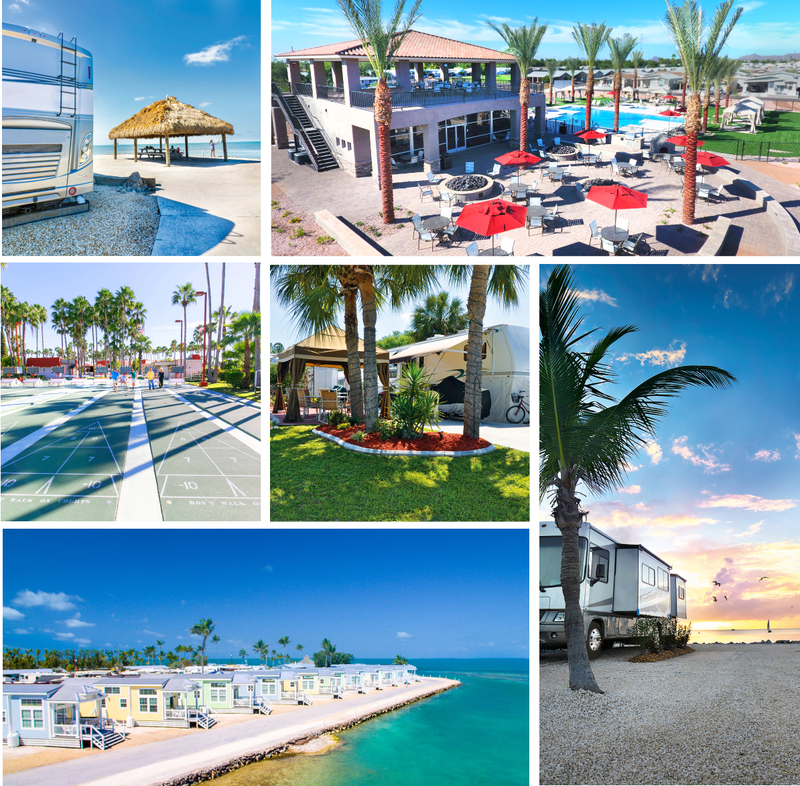 Riverside RV Resort and Campground is located directly on the Peace River, which flows past the west side of Arcadia and southwest towards the tidewater at Punta Gorda. Located northwest of DeSoto County and 44 miles (71 km) west of South Sarasota, Arcadia is a great spot to dig for fossilized shark teeth. In addition to shark tooth hunting, locals love to canoe, boat and fish on the Peace River. Arcadia offers the low-key, slow pace of the country, but that doesn’t mean there isn’t lots to do during the winter months. The small town of about 8,000 hosts DeSoto County’s annual fair in January, which boasts a carnival-like atmosphere as well as livestock shows presented by local 4-H and FFA members, and in March the local rodeo association puts on a charity rodeo enjoyed by park and community members alike. Do you love antiquing? Arcadia has one of the largest groupings of antique dealers in the state of Florida, and they’re all conveniently located in the downtown area. Campers at Riverside RV look forward to the 4th Saturday Antique Fair, which is held each month from 8 am to 3 pm. Find the perfect treasures and knick knacks as gifts, for your RV, or to take back home. Arcadia has lots to offer, but there’s lots going on in Riverside RV Resort and Campground too. With a large proportion of Canadian guests, particularly from Ontario and Nova Scotia, the campground hosts a Canadian party as well as a number of estate parties throughout the season. Of course, in this close-knit community everyone is welcome and intermingles, and the name of the game is fun. That’s why, at Riverside all the Canadian regulars who were able to come back this year have made the trip. At a time when other RV parks are losing some of their Canadian bookings because of the politicized climate and Canadian dollar, Riverside’s Canadian community remains vibrant, Spalding says. And with plenty of swimming pools, a picnic grove, and an activity centre, games room, table tennis, shuffleboard, horseshoes and pickle ball courts why wouldn’t you come back? At Riverside RV there is never a dull moment – you can choose to enjoy the weekly entertainment, or take it easy at your own pace with a leisurely walk, relaxing boat ride or a day fishing on the water. Because Riverside RV is located directly on the Peace River, there’s a calm, relaxing vibe a t the park that keeps people coming back. It’s the pristine landscape and beautiful views that make Riverside special, Spalding says. In addition to the lull of river life, guests enjoy ponds with waterfalls and palm trees that host a wide variety of bird species, all located throughout the park, so that all guests can enjoy an amazing view, no matter which site they reserve. If you love fishing, then there’s no better way to spend your winter. Riverside offers fishing ponds (where you can try your luck with the bass), and direct access to the Peace River with brackish water (a mix of fresh water and salt water). The Peace River is home to snook, red fish, pike and blue gill. The park’s boat ramp offers direct access on and off the water, making it easy to spend the day fishing. Riverside RV Resort and Campground in Arcadia, Florida has all the activities and amenities that you could ask for. But, the most surprising part of this park is that you may find a second home and a community that feels like family. It’s this close-knit community that keeps guests coming back year, after year to spend the winters with their snowbird family. Interested in visiting Arcadia, Florida? Want to stay at Riverside RV Resort? Let us know in the comments below! Next Article Visit the Mesa-Phoenix Area & Explore the Beautiful Southwest! What is the charge for staying. What is your annual fee? We have forwarded your request and will send you an email with the info requested. Thanks! What are your monthly rates for Dec first to April first? We are Thousand Trails members. Thank you for being members! A Riverside RV rep will reach out to you in a timely fashion. We would love for you to come visit. A rep from Riverside will reach out to you shortly. Thank you for your comment. Someone from Riverside will be in touch asap. 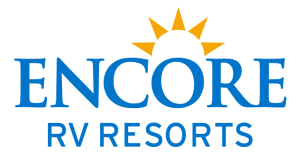 We have stayed at Riverside before it was owned by Encore. 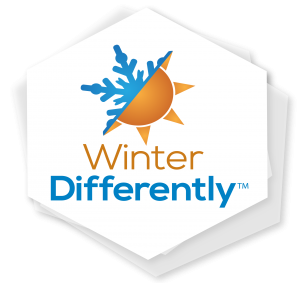 We are interested to learn the current rates for a winter 3 month stay to determine if we should return in 2018. Thank you. Thank you for your comment. Someone from the property will be in contact with you shortly! Seasonal Rate? Dec 2017-Apr 2018. Thanks for your question! We will reach out via email shortly.